Command Control is a new cyber security event from Messe München that will be held for the first time in September 2018. A main target group are top decision-makers at medium-sized companies that want to get their companies ready for digitalization. It’s all about clearly understanding the challenges and steering management in the right direction. “Crashtest Security offers an innovative solution for medium-sized companies and is part of the cyber security ecosystem in Munich – both fit to the concept of our event”, explains Katharina Keupp, Exhibition Director of Command Control. The goal of the new cyber security summit in Munich: “We want to use clear formats to show top decision-makers at both medium-sized and large companies how they can safely manage the digital transformation at their companies and exploit the opportunities on offer”. “Command Control will increase awareness for the subject of cyber security throughout Europe and across all sectors – and we will also benefit from this as a start-up”, according to Thaddäus Schwab, Head of Sales and Marketing at Crashtest Security GmbH in Munich. The summit fills a gap in the market: “There are a lot of technology events. But this one deals with including cyber security in business plans from the very beginning, integrating it throughout the whole company – and assisting companies with this process”. Crashtest Security offers a security check for web applications. Command Control and the technology company met at the Munich start-up summit MUST in February, which is supported by Command Control. Just like Crashtest, Command Control is part of the cyber security ecosystem in Munich, which is already “Europe’s number 1 digitalization location”, according to Katharina Keupp. Messe München with its international platform will continue to strengthen this network. 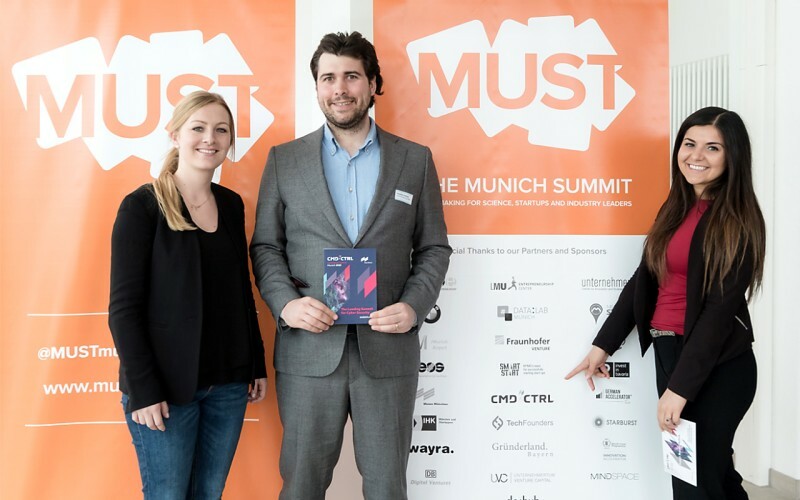 Command Control connects the fields of business, research and politics, is a partner for the Sicherheitsnetzwerk München and also participated in the Munich Cyber Security Conference (MSCS) on the day before the Munich Security Conference (MSC) in February.